This weekend we stayed home and I’ve been working on the deck garden now that the weather has finally turned toward summer (although today it’s back to 50 degrees!). As I filled pots with flowers and vegetables, I thought about my dad, a proud veteran of the Korean War, who always reminded us of the importance of remembering fallen heroes and heroines on Memorial Day. This morning, in honor of my dad’s wishes and all the military men and women who sacrificed their lives, I participated in the “Memorial Day Murph Challenge” at our local gym. Every year on this day, gym members and their families show up to do a favorite workout of Navy Seal, Michael Murphy, who was killed in Afghanistan while fighting his way out of cover (and safety) to transmit his team’s location in order to get them support. You can read about his heroic story here. Although I’m not strong enough to do the workout in the allotted amount of time (yet! ), I divided it up with a few gym buddies and we completed it together. 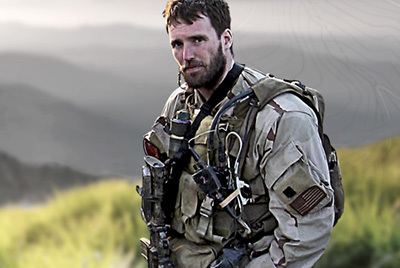 I’m grateful to have learned about Michael Murphy and his extraordinary commitment and courage as a Navy Seal. It brings the reality of military service close to home and reminds me that the things I consider hard, pale in comparison to what some human beings are faced with on a daily basis. And, as someone who knows the family of a fallen soldier and has seen the perpetual pain this loss leaves in its wake, I invite you to join me today in remembering those who have given their lives in military service. And let’s remember their families, too . I listened to the following video last year just before my first Murph Challenge and I was inspired and humbled by this young man’s courage. His life story begins at the four-minute mark, here.